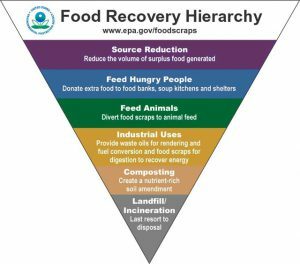 On September 16, 2015, in alignment with Target 12.3 of the United Nation’s Sustainable Development Goals, the United States Department of Agriculture (USDA) and EPA announced the first ever domestic goal to reduce food loss and waste by half by the year 2030. By taking action on this Goal, the United States can help feed the hungry, save money for families and businesses and protect the environment. It’s being led by staff from the USDA and EPA, the federal government is seeking to work with communities, organizations and businesses along with our partners in state, tribal and local government to reduce food loss and waste by 50 percent over the next 15 years. The Florida Department of Environmental Protection supports the 2030 goal. The U.S. EPA estimates that more food reaches landfills and incinerators in America than any other single material in our everyday trash, composing about 21% of the waste stream. Approximately 20% of U.S. methane emissions come from landfills, reducing the food waste stream to landfills will help the U.S. to address greenhouse gas emissions contributing to climate change. By keeping wholesome and nutritious food in our communities and out of our landfills, we can also begin to help the 48 million Americans that live in food insecure households. 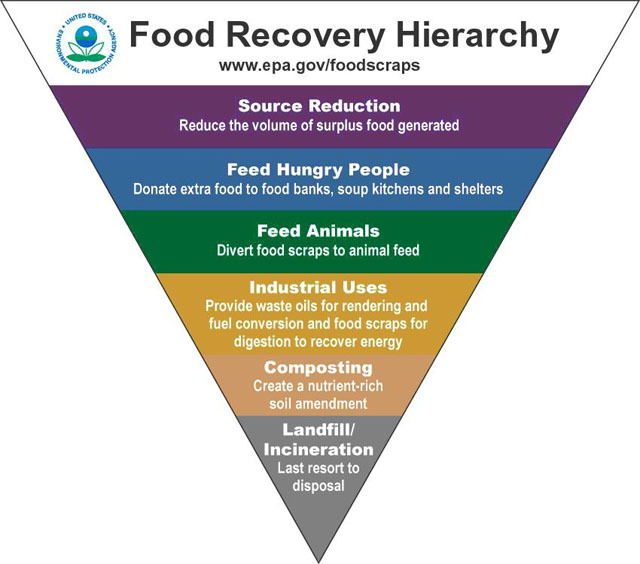 The Environmental Protection Agency manages food waste organics through a hierarchy based on waste reduction principles, which are depicted in the Food Recovery Hierarchy below. -What businesses and institutions can do to manage food waste. -What you can do in your own home to manage food waste. Please visit the EPA’s webpage using the button below.